We spent a very enjoyable day in the Magic Kingdom learning. We of course enjoyed as many attractions as possible and had many laughs along the way. But as often as not we were stopped to observe, take some pictures and figure out just which technique or materials the Imagineers used to create the magic we witnessed at every turn. 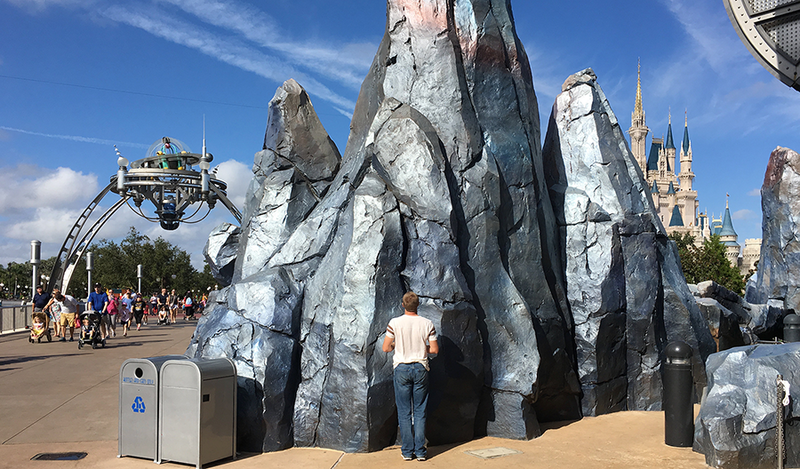 Often, we stopped and looked where most guests rushed by in their hurry to line up to enjoy the next attraction. Rock work is especially hard to simulate well and the Disney folks are among the best. We took the time to learn every time we saw some. Tomorrow it’s time to spend our first day on the floor of the IAAPA EXPO. We’ll have fun and learn lots there too!